AllOurStock was a stock website I built and launched around 2009. I hoped to aggregate all kinds of free stock photos and jump on the bandwagon of growing stock sites. However, my approach was to design a site easy to “shop” around and thus had a persistent stock photo bar, where users could add photos or remove them via ajax. This was fairly new and interesting, as the ajax SPA (single page application) boom has only recently really fired up. 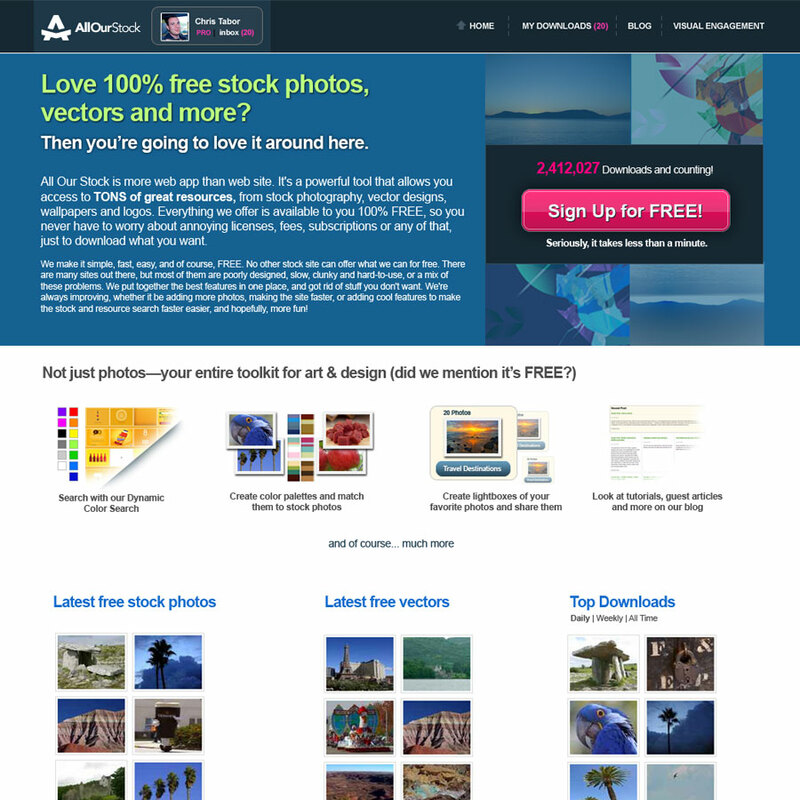 The site had a pretty good run and was featured in 100’s of sites, most notably in http://www.makeuseof.com/dir/allourstock-free-stock-vector/. It was a learning experience that I enjoyed and was able to provide others with free resources for the time it existed. The final logo at multiple scales. It works very well down to extremely small sizes. Visual engagement logo: a concept of mine, that was never developed. It was meant to be a sub-section of AOS, where users could learn design modules and compete in the global leaderboards. A serious endeavor for my at the time, non-developer hands. UI elements, user avatars, icons and more that were used in the application. This was the final splash page redesign. I revamped the whole site (not shown) but primarily redesigned the splash page to drive user sign-ups.